Over the last two decades, TPWD Inland Fisheries staff have worked with the U.S. Army Corps of Engineers (USACE) to develop techniques for growing native aquatic plant communities. Using these techniques, TPWD and various collaborators are raising and planting more than 20 beneficial plant species in reservoirs across Texas. These plant communities provide excellent fish and wildlife habitat, improve water quality, and prevent shoreline erosion. With over 1,000 public reservoirs in Texas, there is a growing need for plants to supply these habitat projects. 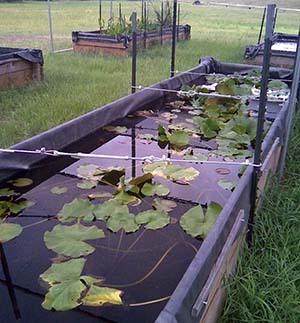 To meet the need, seven native aquatic plant nurseries have been established around the state. Information about each nursery can be found below. 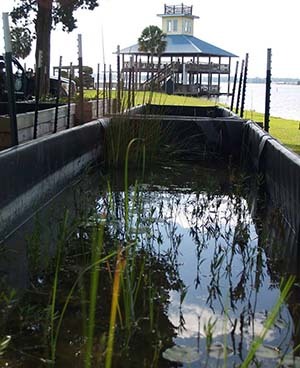 Lake Conroe - A native aquatic plant nursery was developed in 2008 by the Seven Coves Bass Club using a grant from B.A.S.S. Additional support and funding came from TPWD, the San Jacinto River Authority, and the USACE. 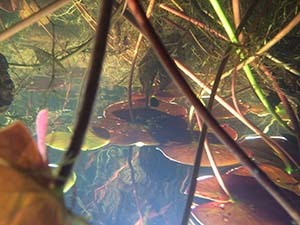 Texas Freshwater Fisheries Center - The second native aquatic plant nursery was developed in 2010 with funding provided by the East Texas Woods and Waters Foundation at TFFC in Athens. This nursery is part of the hatchery tour, and can be explored by visitors who want to learn about native aquatic plants and their importance to Texas lakes. Waco - Also in 2010, TPWD partnered with City of Waco Utility Services to build a native aquatic plant nursery near the Lake Waco Wetlands. Unfortunately, this nursery was destroyed by floods in spring 2016, and is currently out of commission while renovations and repairs are underway. College Station-Houston Fisheries Management office - Inland Fisheries staff built a native aquatic plant nursery in 2011 at their office in Snook. Funding and materials were provided by the TPWD Kills and Spills Team as part of a mitigation project for Lake Raven in Huntsville State Park. Plants from this nursery have been successfully transplanted into Lake Raven and Lake Conroe. Lake Houston - A native aquatic plant nursery was constructed in 2013 by The Lake Houston Sports and Recreation Foundation, using money from local fundraising events along with support and funds from TPWD. 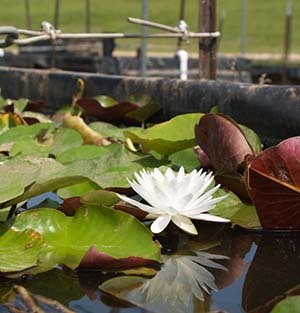 Several plantings of plants produced in the nursery have already occurred in Lake Houston. Lake Livingston - TPWD partnered with the Lake Livingston Friends of Reservoirs Chapter in 2013 to build a nursery near the lake, providing native vegetation to improve shoreline habitat. The project has grown so much that additional nurseries have been established at campuses in eight nearby school districts to help produce more plants. 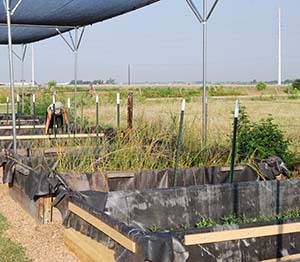 Abilene Fisheries Management Office - The newest native plant nursery was developed in 2017 by staff in Abilene. 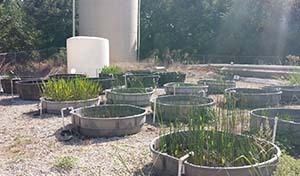 Development was supported by materials and plants provided by the USACE Lewisville Aquatic Ecosystem Research Facility at University of Texas-Lewisville.